Are you a busy parent who wants to help facilitate language and learning at home? As a parent and speech language pathologist with a passion for children’s literature and language, I have created a parents guide for reading aloud to your children at mealtime. In just 20 minutes per day, you can implement evidence based strategies that I discuss in this book to help your child improve their literacy and learning. 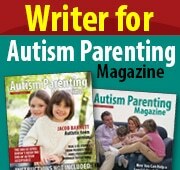 This guide is user friendly and contains information that can be used for a variety of ages from toddler to tween. Make your read aloud time with your child optimal with these tips and strategies.